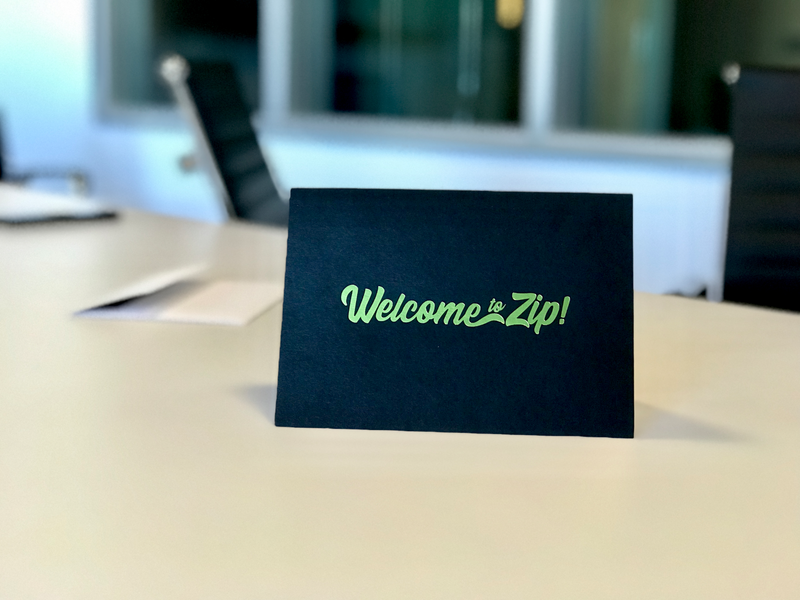 Print, Graphic Design, Motion Graphic, Photography, and Web Design to promote one of the fastest growing technology companies in the USA. 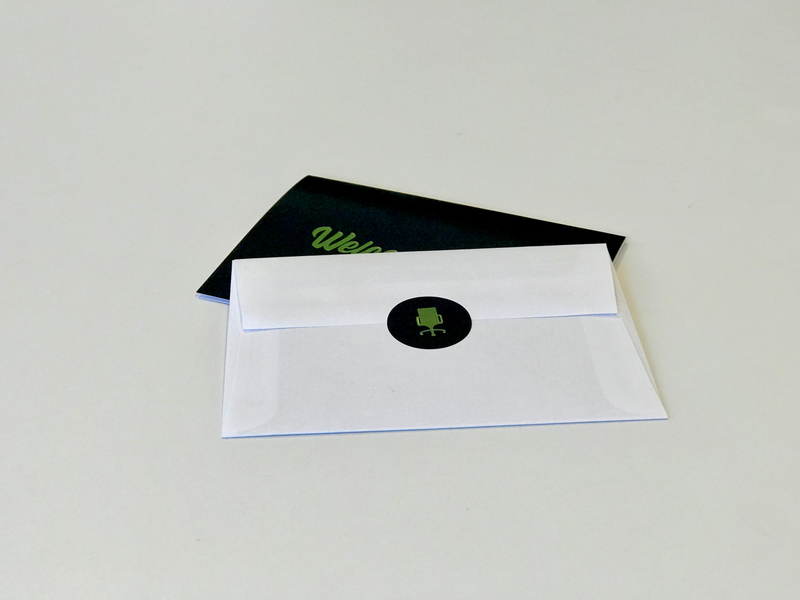 Design for an Enterprise postcard. 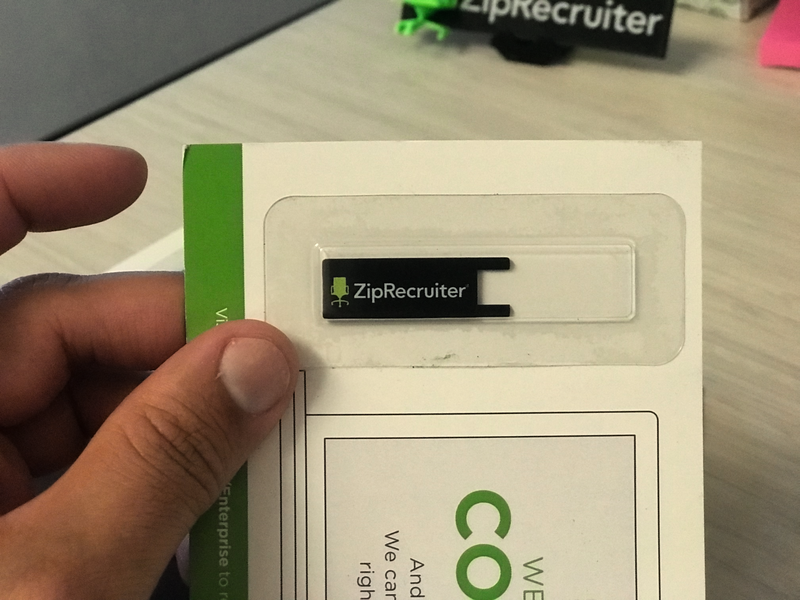 The postcard included a branded webcam cover giveaway. 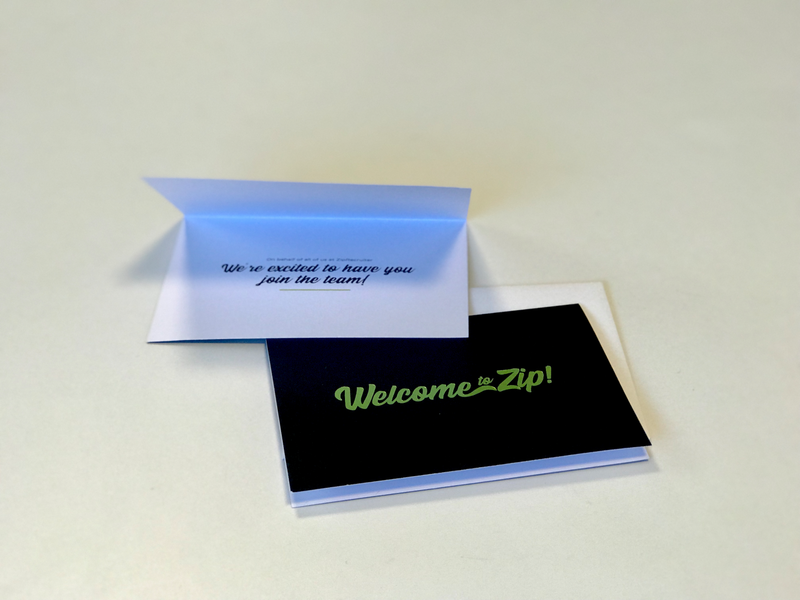 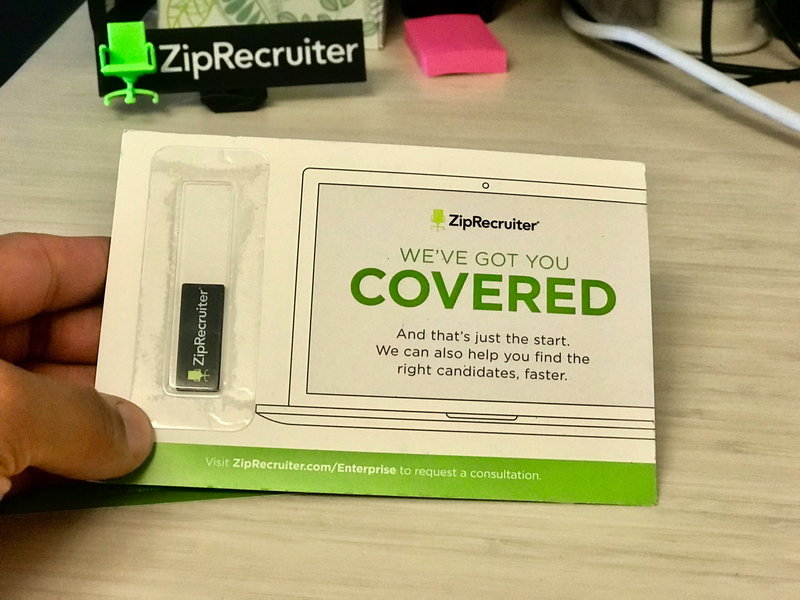 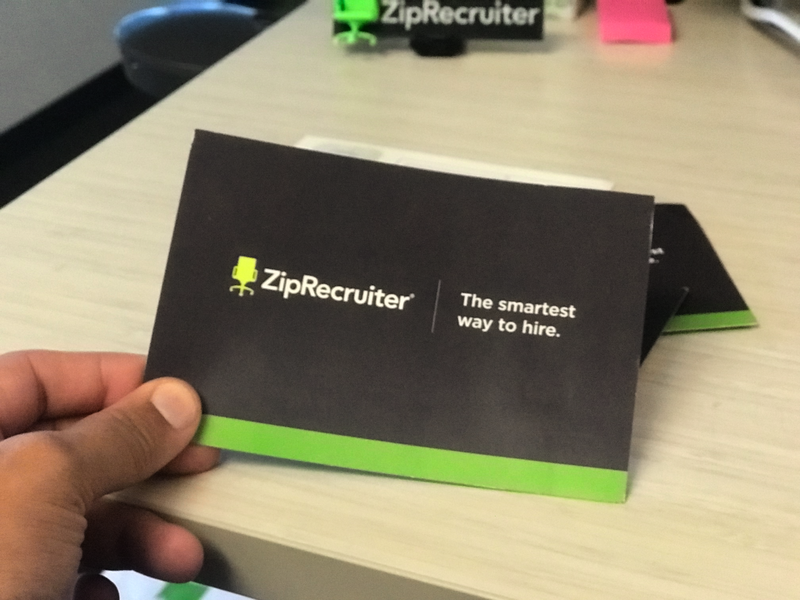 A postcard design to welcome ZipRecruiter employees with a short note inside and a foil sticker to seal the envelope.